2019 Stanley Cup Playoffs Schedule: More Upsets in Store on Day 3? The Lightning and Jets will look to regain their footing on home ice Friday night after dropping their respective Game 1s. 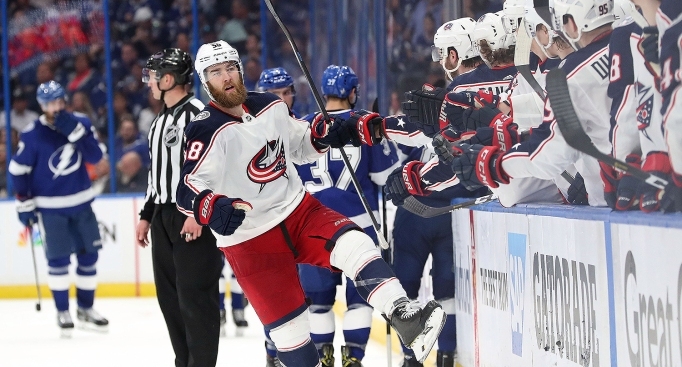 NHL-best Tampa Bay blew a 3-0 lead in Game 1 as the Blue Jackets stormed back for a 4-3 win, while Winnipeg surrendered a pair of third-period goals to the Blues, who picked up a 2-1 Game 1 win. Game 2s are series-shifting matchups. There are four Friday night. Below is the full schedule for Day 3 of the 2019 Stanley Cup Playoffs. You can watch the entire playoffs on the networks of NBC.